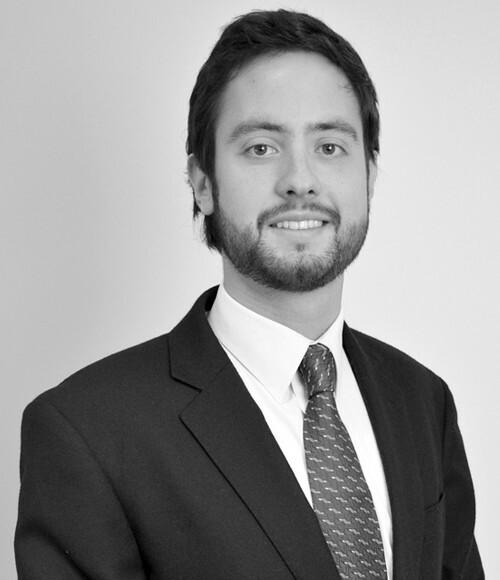 His practice focuses on representing Chilean and foreign clients in the acquisition and sale of public and private companies, mergers, private equity and venture capital transactions, capital markets and corporate and commercial matters in general. UnitedHealth Group in the acquisition of Banmédica, a Chilean healthcare company, for USD2.8 billion. Banmédica has operations in the health insurance, healthcare and medical rescue businesses, with a presence in Chile, Colombia and Peru. Codelco on the issuance of 10-year bonds for USD400 million approx. (UF10 million) in the local market, representing the return of Codelco to the local bond market after being out for more than a decade. Aurus regarding their investment funds, including the execution of their investments, management, relationship with partners and regulatory issues. Equitas Capital on creating a fund management company, presentations and approvals from the Chilean securities regulator, application of funds provided by the Chilean Production Development Agency (CORFO), management of investment funds and on their relationship with investors. Assistant Professor of Civil Law, Universidad de los Andes (since 2018). Teaching Assistant of Civil Law, Universidad Católica de Chile (2012-2016). Teaching Assistant of Law, Faculty of Economics and Business, Universidad de Chile (2012). Co-author of “Proposal to Facilitate the Merger of Chilean Companies into a Foreign Company”, Estudios de Derecho Comercial en Sextas Jornadas Chilenas de Derecho Comercial, Ediciones UC (2017). Conference “The Rights of Controlling Shareholders”, International Seminar on Corporate Governance organized by the CGC UC, the Hennick Centre of Canada, Columbia University and Carey (2017). Exchange student, The Chinese University of Hong Kong, Hong Kong SAR, China (2014). Carey Award, given to the best Civil Law student of his class (2011 and 2013). Fernando Rozas Vial Award, given to the best Civil Law student of his class (2014).